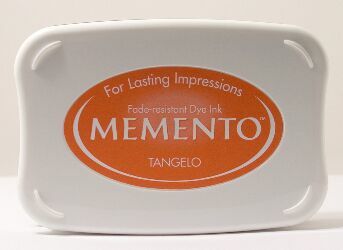 Memento inkpads are dye based which means they are ideal for using with alcohol based pens such as Copics and Promarkers etc. They have a good depth of colour and produce crisp vibrant results. Can be used for many techniques but not embossing as they dry very quickly even on glossy cardstock. Great range of colours available and very reasonably priced. These are the inkpads I turn to time and time again for all my stamping projects.